Tawne joined Hilliard Lyons in September 2015. 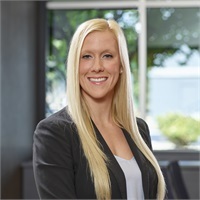 She works closely with The Hollander Group clients and Ron, Tricia, and Teri to ensure an optimal client experience. She is responsible for preparing financial analyses and managing accurate account information. Tawne provides each client with the professional and personalized support they need. She enjoys spending her time being active, traveling, or with family and friends. Tawne resides on the west side of Evansville. She obtained a B.S. degree and is currently pursuing a Master’s Degree from the University of Tennessee.